Prince Harry became the center of speculation that his behavior reportedly changes 16 days before he is officially taken off the market. 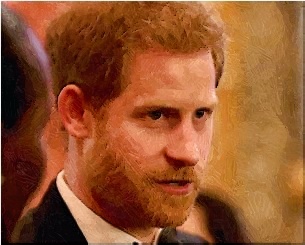 Arthur Edwards, who was a photographer that worked with the royal family for almost 40 years, noticed that the 33-year-old royal became withdrawn. The photographer observed that the engaged prince was usually cheery. Now, the royal stopped saying good morning to them anymore. Although the photographer was able to photograph seven royal weddings, he does not expect to have a special access when Prince Harry and Meghan Markle arrive in Windsor on May 19. His assessment was made after the engaged couple has been the center of nasty comments from some of the former “Suits” star’s estranged family members. Meghan Markle’s half-brother has urged Prince Harry to put a stop to the royal wedding. His letter also implies that the 36-year-old actress used their father to start her career before leaving him alone and bankrupt in Mexico. The actress was also described to be a jaded, shallow, conceited woman that will make a joke of the prince and the royal family heritage.